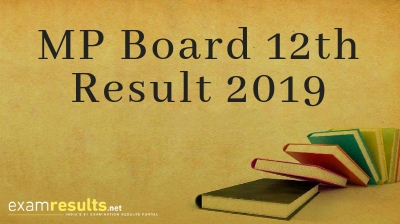 April 03, 2019: The Madhya Pradesh Board of Secondary Education (MPBSE) has released the MP 12th Timetable 2019. According to the MPBSE HSSC Time Table 2019, the MP Board 12th exams started from March 2, 2019 and will end on April 2, 2019. All MP Board class 12 exams will begin from 9 AM and end at 12 PM. All students appearing for MP Board 12th exams will be getting 15 minutes time to read the question paper before they start writing. Watch this space for more news about the MP Board class 12 exams 2019. MP Board of 12th Examination has declared the exam dates for the board examinations. MP Board HSSC Examination will begin on 2nd March. MP Board Class 12 Result will be expected in May, 2019. The MP Board Class 12 exam results 2019 will also be announced on this website. Keep visiting here to check your MPBSE Class 12th result.